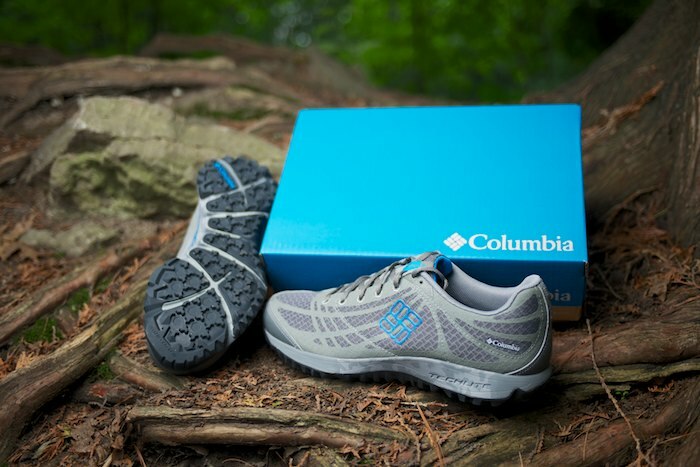 When you first pick up a pair of Columbia Conspiracy Shoes, the detective in you will immediately get to work. What exactly is the conspiracy? Start your investigation by trying to deduce how Columbia were able to make these so light. When you lift one of the shoes out of the box, you will find that a size 9.5 shoe only weighs 9.1 oz/257.98g, the lightest in the industry. Yet when you turn the shoe over in your hands you won't feel as though it is missing anything. Once you slip them on, you will notice the protection of the Techlite FluidFrame support which provides a soft, yet springy footfall. 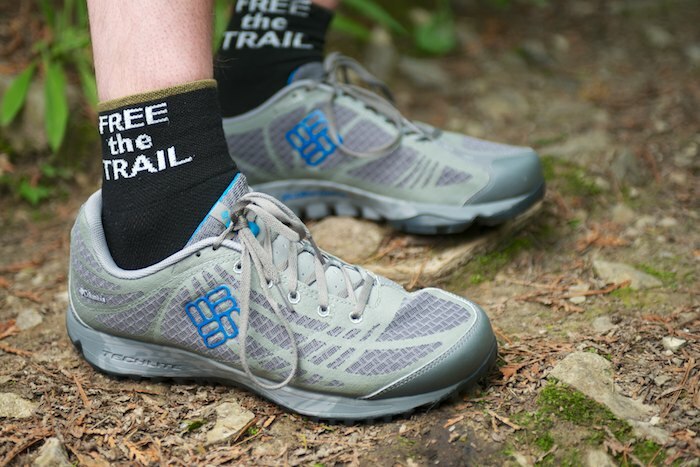 You will sure notice the bounce in your step when walking on pavement, but these shoes are meant for the trails. They are well cushioned so you will be running in comfort, while still being protected from impacts. 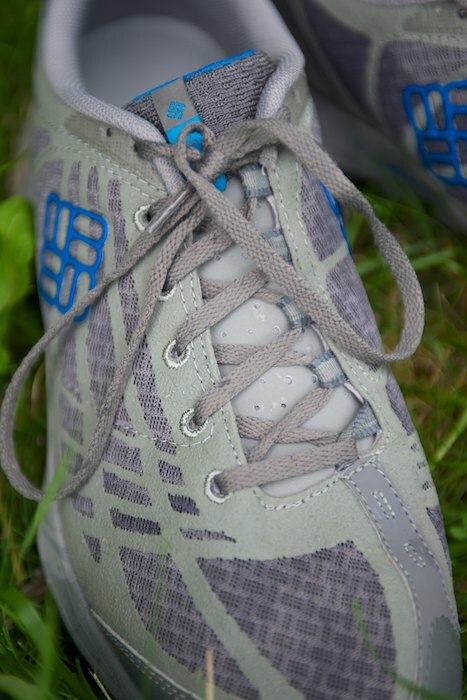 Breathable mesh runs across the shoe, and I never had issues with my feet getting too warm. The toe cap did a great job of defecting rocks and roots that I may have clipped along the way. Jot down in your detective notebook that the shoes have asymmetrical lacing. I tried various tightnesses during my runs, and didn't ever have to stop and loosen the shoelaces due to a painful pressure point. Not only was the break-in period of these shoes really quick, but the lacing style was a boon! 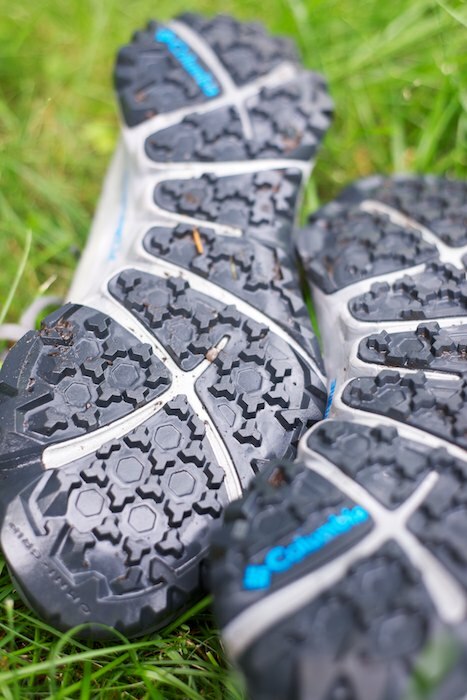 My favourite part of the shoe was the Omni-Grip "microlug" tread design which sure was grippy. While putting them on in the morning, I have tripped myself up while walking on carpet. Loose sand, dirt, mud and trail all were no issue. The tread is a little wider at the front, and this base was helpful when ascending steep hills. Conspiracy theorists may believe the shoe was constructed using alien technology, but the best way to solve this case, is to take them on a run yourself. The Conspiracy is available in Safety-Yellow & White, or Boulder & Compass Blue (as shown in the photos) as well as a waterproof version known as the Conspiracy OutDry.